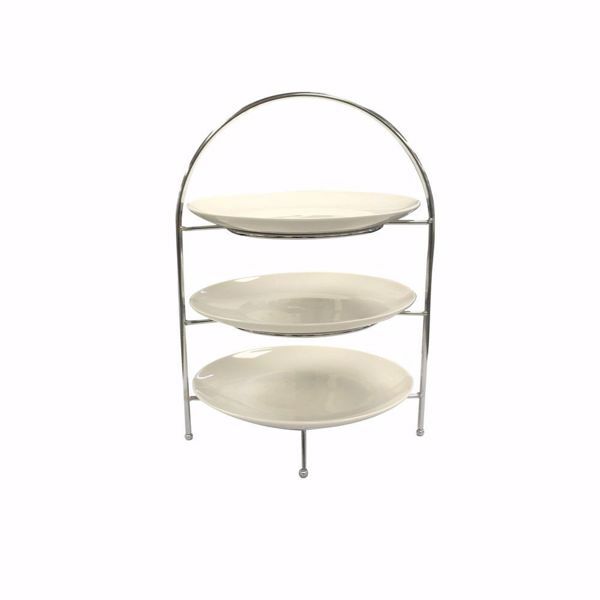 Create eye-catching food display presentations with our 3 tier iron display stand with 3 porcelain plates. Take advantage of conserving buffet space or countertops with this tall stacking display stand. Great for serving appetizers, crackers, cheese, fruit and vegetables or desserts. This set includes an iron frame along with (3) 10.25" coupe plates.